We are the people to turn to for the industry’s leading professional window cleaning in St Albans service. At our team we maintain specialists vetted at window cleaning in particular. They are equipped with the best equipment, tools and product for the job and they know exactly how to approach every project they have been called for help for in a manner that is hassle-free and highly efficient. That is why Cleaners St Albans is probably the most widely trusted company when it comes to window cleaning in St Albans. This applies for homeowners and businesses alike – their percentage on our clients’ list is almost equal. In the case of commercial window cleaning in St Albans it is of even more important that you come up with a comprehensive solution to the question. Clean windows will be the best representation of your business for potential partners, and you know how important the first impression is, right? Our expert cleaners in St Albans will come to your office either early in the morning, or when the work day is over. They will clean your office’s windows inside out and do not cause disturbances to your business process. 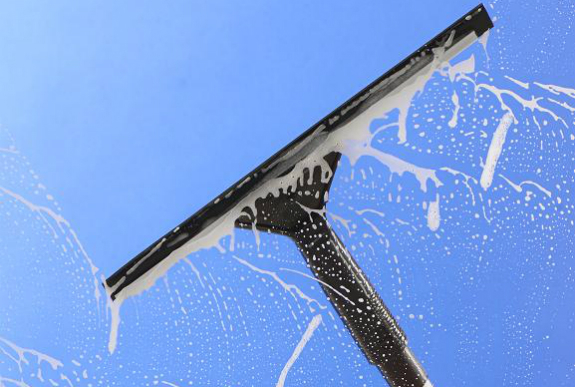 As with the rest of the very efficient cleaning and sanitation services offered by Cleaners St Albans, like our sofa cleaning, our window cleaning in St Albans solutions come with a number of benefits. Thanks to our very flexible schedule, always coming with high availability, we are going to make sure that the job is done within a time-frame that is thoroughly up to your liking and needs. Our prices are pretty flexible too. We have developed a special custom quote system, which enables us to individually estimate the costs of every project we have been called for help with. In this way we offer every client of ours with the best deal imaginable. A free quote for window cleaning in St Albans provided by us can be requested around the clock from our polite and very knowledgeable customer support operators. Our team can be reached 24/7 both over the phone and via email. You will get your quote, as well as an answer to all potential questions that you are having about the way we do our job and how we run Cleaners St Albans. It will be a pleasure for us to hear for you, so get in touch today.